Beautiful home for sale in desirable Holly Point! Walk in and fall in love with the vaulted ceilings, hardwood floors, and large windows that allow natural light to shine in. On the main floor there's the master bedroom with its own private 5 piece master bath. There's a large kitchen with beautiful cabinets, granite counters, and ample storage space. The upstairs has 3 bedrooms and a large oversized loft. The basement is finished and offers a large bonus room, a 3/4 bath, and an additional room that can be used as a study or non-conforming bedroom. Outside the home has a large fenced in yard, large patio to enjoy the outdoors, and a fantastic garden. 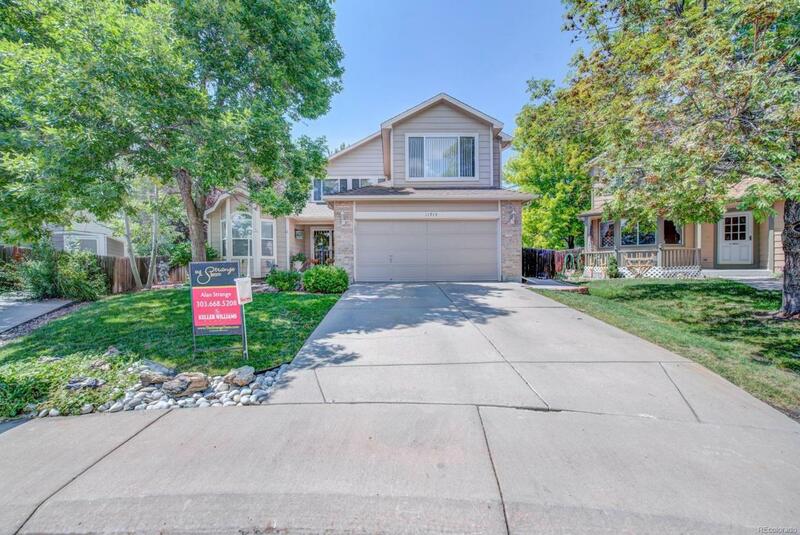 This home is close to Cherry Park Pavilion, Skylake Park, and allows easy access to I-25. Brand new Carpet! White picnic table in back yard and basketball hoop are included. This home is a must see!